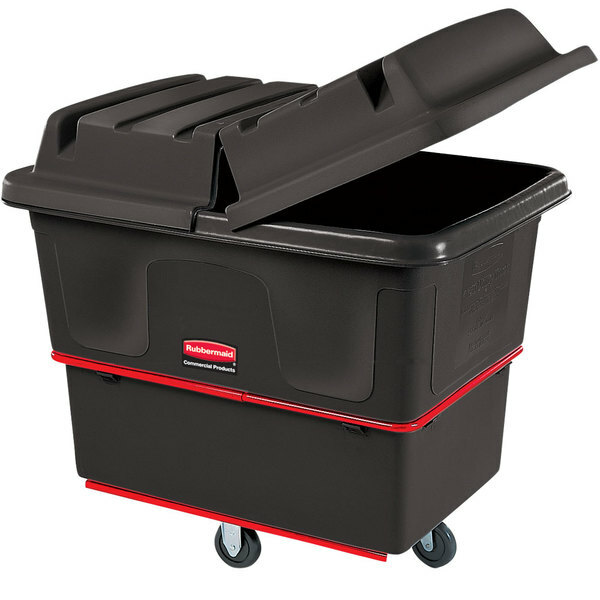 This Rubbermaid FG471200BLA black utility cube truck boasts a 12 cu. ft. capacity that allows you to easily transport up to an impressive 800 lb. 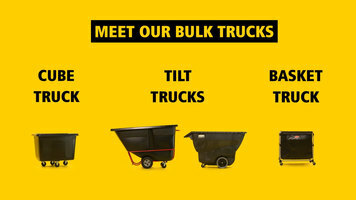 of waste, heavy materials, laundry, and more! A great way to transport products in industrial, construction, food processing, or laundry environments, this truck's metal frame combines with a stepped sidewall and steel reinforcement band to provide exceptional and durable support for moving the heaviest loads. This utility cube truck accommodates a hinged dome lid (sold separately) that conceals the contents without reducing the truck's capacity. 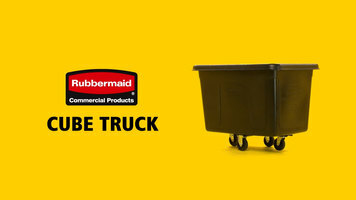 Moving this utility cube truck is easy as three reliable 4" casters, arranged in a diamond pattern, make for excellent maneuverability around tight corners and down narrow hallways.